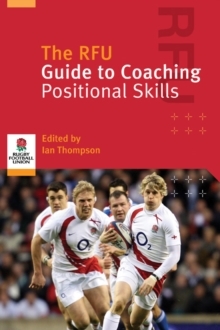 Written and endorsed by the RFU coach development team based at Twickenham, this book takes every position in the 15-a-side rugby union team and gives a series of specific drills, practice sessions and tips for coaching players to perform their unique duties. From high-ball drills for full-backs to mauling sessions for the front row, this is the first book that isolates and teaches the skills required of each position on the field. The RFU coach development team, comprised of eight positional coaches, is at the forefront of the worldwide development of coaching best practice. Each drill and session is fully supported by line drawings, photographs and guidance on coaching.